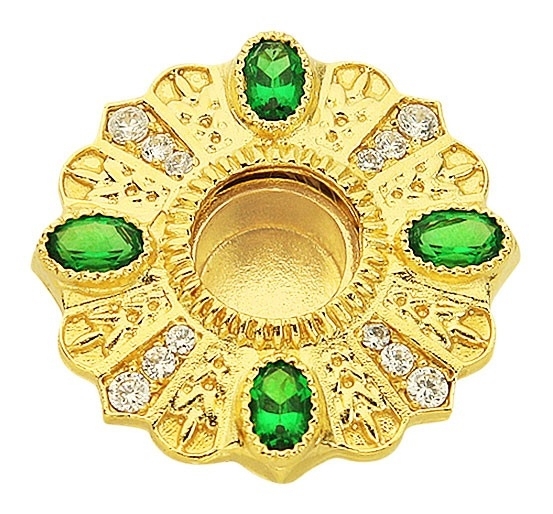 Church reliquary - A626 - Istok Church Supplies Corp. Elegant, a small-sized reliquary made of brass and covered with high-quality gold-gilding, galvanized. This application technology guarantees an invariable appearance of the product for a very long time. 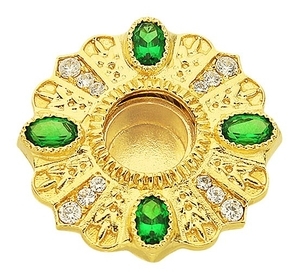 The reliquary is decorated with inserts of phianite stones of excellent quality, manual fastening. Place under the holy particle is 6 mm.